That statement so true! Jamaicans are a mixed of African, Native and European heritage, coming together to form one "perfect" (some may say "imperfect") people. I am one of those imperfect but proud Jamaicans. 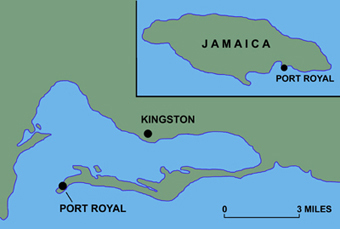 There are several different parts to Jamaica. We have the pristine beaches for tourists and the uncharted forest for those willing or dare to enter. I grew up somewhere in the middle. My grandparents owned a farm where I grew up. While my grandfather was a very religious kind man he was very strict. We were taught lessons often through words but also by his actions. Every morning before the sun rose my grandfather would rise and head out to milk the cows, and other farm related activities. When they were old enough, each grandchild would have their time and were expected to join him on his morning ritual. My oldest brother was the first to go. He would go to the farm and return with milk for breakfast. We would have breakfast prepared by my grandmother, and then off to school. Our school was not close but we walked. Cars and buses were only for the ride to town. Jamaica is very traditional in the sense that the women and children were relegated to the home, while the men and young boys did the farm work. Learning house work was done by helping the woman of the house, in my case my grandmother. My mother did not want the traditional life so she moved very early to the city. While in the city she would work as domestic help and send money to support her children. Many young Jamaicans of this time sought opportunities overseas. My mother was no exception. She left Kingston and enter the United States as an illegal immigrant. During this time my siblings and I remained with our grandparents. I attend a local school run by our local church. I remember lunch being prepared from wheat provided by food aid from the United States. Vaccinations was provided by aid workers, who would come into our small town once per year. All the children and their parents or in my case, my grandmother, would gather at the church and wait in line to be vaccinated. My grandfather died when I was only six years old. At this point we left the countryside and moved to the city. While there I attended a Catholic school. My grandmother strongly disagreed with their teaching. She was a very religious woman, but a Protestant. We attended church every Sunday, until I got older. I started making excuses as to why I couldn't go. When my grandmother left, we would all walk about six miles to go hang out at the beach. There was always music everywhere you went and the smell of food in the air. The craft market, was always one of my favorite place to go. There were women selling their wares,and braiding tourist hair. I enjoyed watching these women make their crafts. I was so impressed with their talents and sad that I did not have any of those skills. Leaving Jamaica, has always been a bitter sweet part of my life. I got to live with my mother for the first time in my life, but still I longed to be home. Remembering the fun I had running through the wood and hanging at the beach, still remains with me today. Simone Paolercio "Jamaica: Out of many - one people" AwesomeStories.com. Jun 11, 2016. Apr 18, 2019.